Science fiction directors Alfonso Cuarón and J.J. Abrams both had banner years in 2013. Cuarón’s Gravity is slated to be a big awards movie early next year, while Abrams’ Star Trek Into Darkness was one of the biggest sci-fi movies of the year. The two directors also have a joint collaboration on the small screen with the upcoming TV series Believe on NBC. But here’s the bad news: although the series has yet to premiere on the broadcast network, the new series has just lost another showrunner. According to Deadline, former executive producer and showrunner Dave Erickson (Sons of Anarchy) recently left Believe. While it’s unclear why Erickson departed the TV series, Believe‘s co-executive producer and director Jonas Pate is expected to fill in as the series’ new showrunner. This is one of those very rare instances where a show’s director is named the show’s showrunner, rather than its head writer or a staff writer. Pate will join Alfonso Cuarón, J.J. Abrams, Bryan Burk (Star Trek Into Darkness), and Hans Tobeason (Saving Grace, V), as the one of the show’s executive producers, while Alfonso Cuarón directed Believe’s pilot episode. NBC is still planning to launch Believe in early 2014, as a follow-up to the Winter Olympics in Sochi, Russia at the end of February 2014. NBC strategy with Believe is to leverage the Academy Award buzz for Cuarón and his science fiction space epic Gravity. Believe is also being launched a few weeks before Star Wars: Episode VII is expected to go into production in spring 2014. Believe has the potential to be a big hit for NBC, considering the involvement of Cuarón and Abrams, but early behind-the-scenes problems are rarely a good sign. Believe‘s original showrunner was co-creator and executive producer Mark Friedman, who left on amicable terms with the series’ producers. Nothing official has been said about why Friedman left the series, but it most likely comes down to the same and usual song and dance: creative differences. At the moment, Believe is expected to go on holiday hiatus on December 20 and will go back into production in New York on January 6, 2014. The series’ production team has completed five episodes of Believe‘s 13-episode order from NBC. The peacock network is planning a Believe panel for the upcoming January 2014 press tour. I’m sure we’ll hear more about why Mark Friedman and Dave Erickson left the yet-to-be-released TV series. 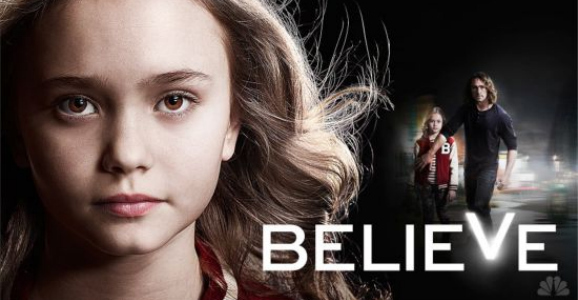 Believe centers on a young girl with extraordinary powers. Unknown authorities are hunting her, but a man who escapes from prison is tasked with protecting her from harm. The series features actors Jake McLaughlin, Johnny Sequoya, Jamie Chung, Delroy Lindo, Arian Moayad, and Kyle MacLachlan. Kathy Lingg (Revolution, Fringe) will also produce Believe. While NBC hasn’t announced an official premiere date, there’s a good chance that the TV series might air after the Winter Olympics’ closing ceremony on Sunday, February 23, 2014.